A programmable logic controller (PLC) or programmable controller is used for automation of electromechanical processes. We manufacture the PLCs which are designed for multiple inputs and output arrangements, extended temperature ranges, immunity to electrical noise, and resistance to vibration and impact. We are Manufacturer and Supplier of a wide range of Programmable Logic Controller (PLC) Panels in Pune, India which are manufactured with the help of advance technology and high quality raw material. This ensures a long lasting performance and smooth operations. 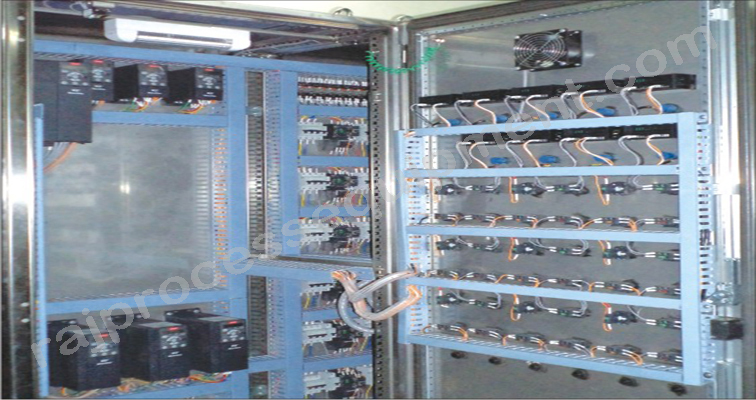 We also manufacture customized PLC panels as per the clientâ€™s requirement. Our Programmable Logic Controller (PLC) Panels are widely used for automation of electromechanical processes in different industries like refineries, Food, Pharmaceuticals Cement etc. Depend on the Client requirement, we suggest the Quality brands from the globe e.g. Siemens, Allan Bradley, etc. We manufacture the panels with ingress protection for the range IP42-IP67 as per the client requirement. We also manufacture the Flameproof PLC Panels and Non Flameproof PLC Panels. These panels are manufactured in stainless steel construction and carbon steel construction. We do finishing of panels up to 420 grit in case of stainless steel and seven tank process powders coating in case of carbon steel. Raj group has proved its efficiency by offering innovative solutions in Industrial Automation using PLC's, SCADA and AC / DC Drives for various application in industries like Automobile, Sugar, Cement, Paper, Chemicals, Material handling, Pharmaceutical, Steel, packaging, machine tools, Synthetic fibers and textiles. We cater to all the requirements of our customer for Plant / Equipment / Machine and Process / Automation. We are also strengthening our feet in the field of Pneumatic Products. PC / DCS / SCADA / AC-DC drives where we take up complete Engineering / Software Development and commissioning projects.